Kettlebells are the perfect tool for fat loss workouts. It doesn’t matter whether you are a beginner or more advanced, using kettlebell workouts for fat loss will generate full body results without the need for too much time commitment. Kettlebell training uses hundreds of muscles at a time as well as challenging your cardio so you won’t need to do any separate training on top. The most important workouts are the ones that get completed regularly so I’ve outlined 3 fat loss workouts below, each lasting just 4 minutes. 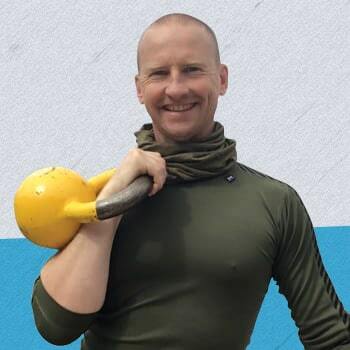 If you are new to kettlebell training then this is the best place to begin. The focus of this first fat loss workout is to activate as many muscles as possible but in a risk free way so you can start to hone your skills and get used to holding a kettlebell. Women should use an 8kg (15lbs) and Men a 12kg (25lbs) or 16kg (35lbs) kettlebell. This kettlebell workout lasts for just 4 minutes. If you feel you can do more at the end of the workout then rest for 60 seconds and repeat. I would not recommend more than 3 circuits. You can practice this workout daily taking a days rest when you feel you need one. When you can comfortably complete the workout for 3 circuits with a 60 second rest in between each one then move on to the intermediate workout. Work your way through the above exercises, one after the other, trying not to put the kettlebell down. You will notice that the exercise changes every 30 seconds, you may find using an interval timer that beeps every 30 seconds helpful to keep you on track. The final exercise is the bodyweight squat. Most people struggle with good quality squats which is why this exercise does not use a kettlebell. If you have mastered the bodyweight squat then holding a kettlebell with both hands while squatting is an option. The kettlebell slingshot is the first exercise included in this beginners workout and is a perfect introduction to kettlebell training. 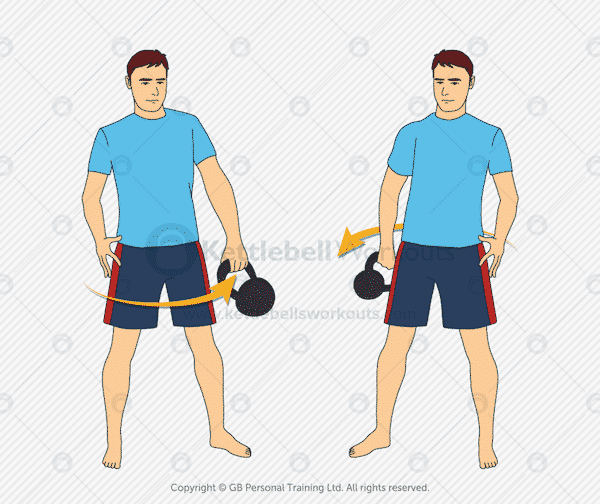 Try to keep your hips still and belly button drawn in as you pass the kettlebell around your body. You will be surprised at how demanding this exercise can be on your arms and grip strength. Try to relax a little as you complete the movement. The kettlebell single arm deadlift is the first of our big fat loss exercises. This full body kettlebell exercise activates the legs, glutes, and back as well as raising the heart rate quickly. Ensure you keep your back nice and flat and bend from the hips rather than the lower back. 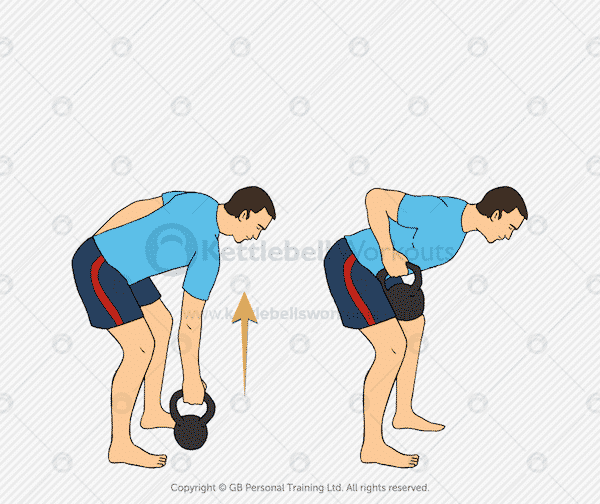 Push the hips backwards as the kettlebell is lowered and then drive them forwards and squeeze your buttocks tight as the kettlebell is lifted. 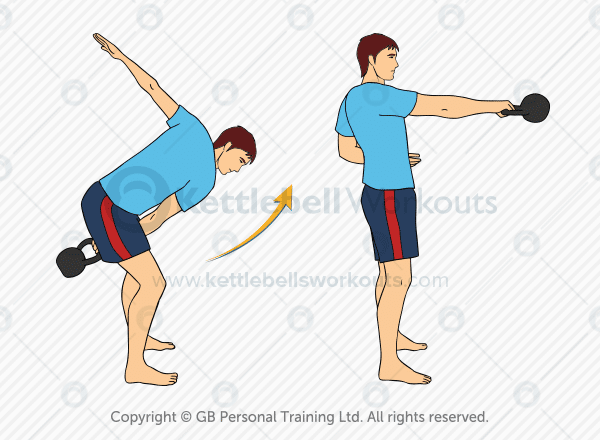 The kettlebell halo is a great exercise for mobilising the upper body as well as working the shoulders and upper back. Keep the kettlebell nice and close to your neck as you roll it around the tops of your shoulders. Try to stay relaxed and looking forwards throughout the whole of the exercise. The bodyweight squat is another of our big fat loss exercises. You will activate most of the muscles of the body with this exercise as well as raising your heart rate quickly. Sit back on your heels as you drop down into the squat and don’t let your heels lift off the floor. Keep your chest and rib cage lifted up and keep looking forwards at all times. It is very important that you squat down nice and deep into the movement as I show in the image above. Failure to squat deep enough will result in minimal buttock activation as less fat burning potential. Our second fat loss workout gets a lot more dynamic and has the potential for a lot more mistakes to be made. We still use a few of the exercises from the first workout so there is familiarity but more focus is placed on the very demanding kettlebell swing and goblet squat. Again women should use an 8kg (17lbs) or 12kg (25lbs) and Men a 12kg (25lbs) or 16kg (35lbs) kettlebell. If you feel you need to switch kettlebells during the circuit then that is fine just try to keep the pace up. The workout is 4 minutes long and just like the beginners workout your goal is to work up to 3 circuits with a 60 second rest in between each one. As with the beginners fat loss workout you will be changing exercises every 30 seconds. The workout is designed in this way to give you pockets of recovery as you move from a challenging exercise to a slightly less strenuous one. 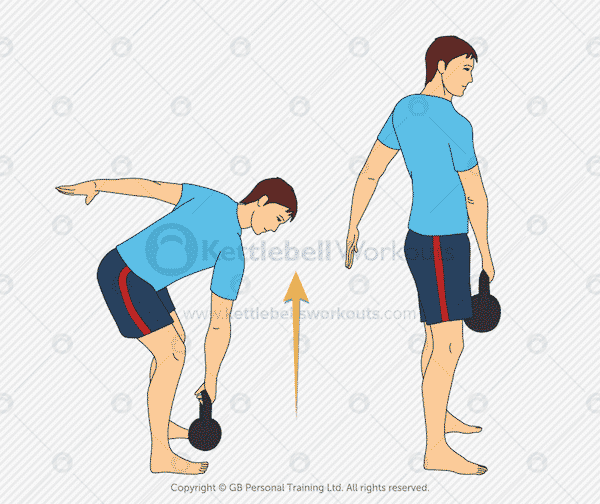 Please work hard at mastering the kettlebell swing, the single handed deadlift exercise should have helped you perform a good hip snap and this is just a more dynamic variation of this. If the goblet squats become a problem you can always perform the bodyweight squat as mentioned in the beginners workout. The two handed kettlebell swing is the king of all fat loss exercises and activates most of the muscles in the body as well as increasing your heart rate quickly. The most important part of the kettlebell swing is the hip snap. Beginners often fail to hinge at the hips and instead use their lower back in order to produce the momentum of the swing. Keep your back flat throughout the exercise and work on your timing as you snap your hips forwards and backwards. Drive the top of your head towards the ceiling with every repetition and squeeze your buttocks and abs tight at the top of the movement. 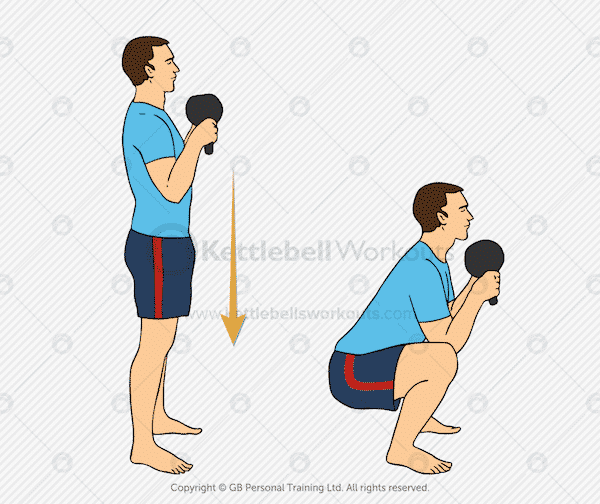 The kettlebell goblet squat progresses on from the bodyweight squat that hopefully you mastered in the beginners workout. Holding the kettlebell at chest height actually helps with the balance of the squatting movement and enables you to sit your hips back further without falling backwards. As mentioned with the bodyweight version, squatting down deep enough so your buttock muscles are activated is important to get the most from this exercise. Don’t allow your knees to fall inwards, you can use your elbows to prevent this at the bottom of the squat position. For our final kettlebell workout for fat loss we leap into some more challenging full body exercises. I recommend that you practice all these exercises on their own before performing them as part of a complete workout. You should have a better understanding of what weight is right for you but in my experience women should be using an 8kg (17lbs) or 12kg (25lbs) and Men a 12kg (25lbs), 16kg (35lbs) or 24kg (50lbs) kettlebell. The workout lasts for 4 minutes and you should be seamlessly changing hands between each exercise without putting the kettlebell down. Again the goal is 3 circuits with a 60 second rest in between each circuit. Each exercise lasts for 30 seconds so you may want to use an interval timer to remind you when to change exercises. Don’t rush through the workout, take your time in between changes and make sure you understand what is important during each movement. Again practice each exercise first before attempting to complete a full circuit as laid out above. The single handed kettlebell swing takes the two handed swing to the next level by overloading the one side of the body. 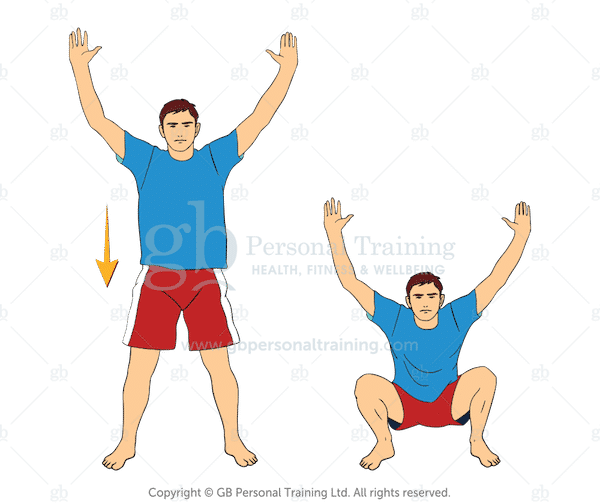 Not only will your shoulder have to deal with a greater stabilisation challenge but your core muscles also have to counterbalance the rotational forces. For fat loss the single handed kettlebell swing is a great way to activate most of the muscles in your body as well as increasing your cardio without the need to move your feet. 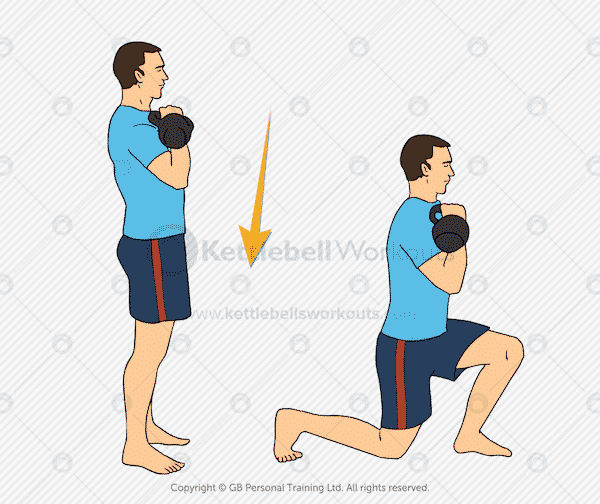 The kettlebell reverse lunge will strengthen the legs and buttocks as well as the core muscles. You will also be surprised at how cardiovascular the kettlebell lunge can be. The back knee should come as close to the floor as possible during each repetition in order to activate the buttock muscles fully. Keep your chest up, core tight, elbow tucked in and eyes looking forwards. Make sure you can perform beautiful solid lunges without a kettlebell before progressing on to this exercise. 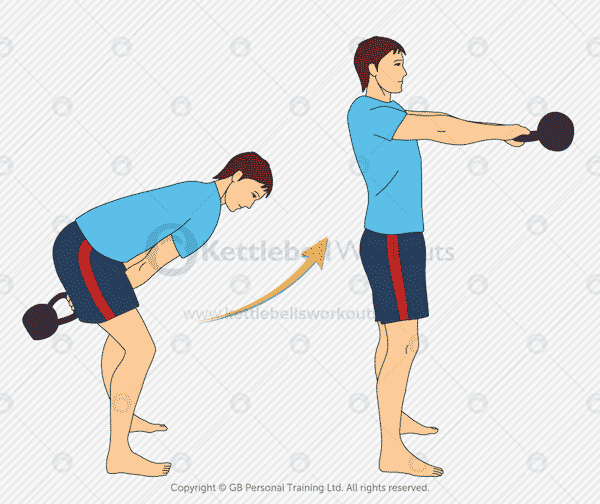 The kettlebell row works deep into the back muscles where there is a lot of fat burning potential that is often neglected. The tricky part about the row is maintaining a nice flat back throughout the complete exercise. Practice shifting your weight back onto your heels during the exercise and loading your hamstrings. Imagine your elbow is attached to piece of string that is being pulled directly up and towards the ceiling. Be sure not to hunch your shoulders during the row, keep them pulled down towards your hips throughout the movement. Row slowly both up and down keeping your core muscles tight and engaged. 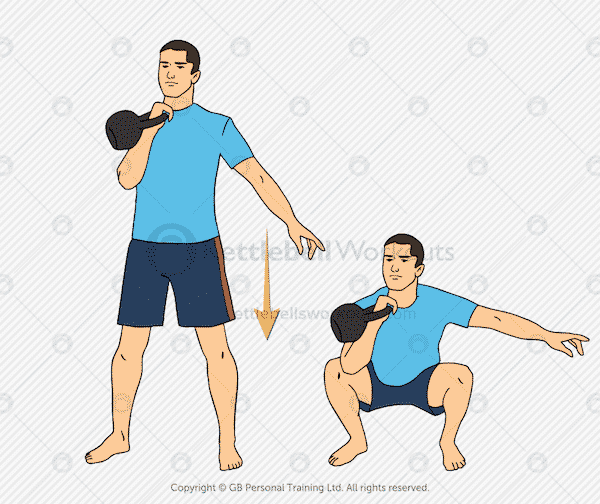 The kettlebell racked squat is a continuation on from the goblet squat mentioned above. Holding the kettlebell in one hand against the chest loads the one side of the body more and also allows for better transitions from one kettlebell exercise to the next. Keep the elbow locked in nice and tight so as not to strain and prematurely fatigue the shoulder muscles. 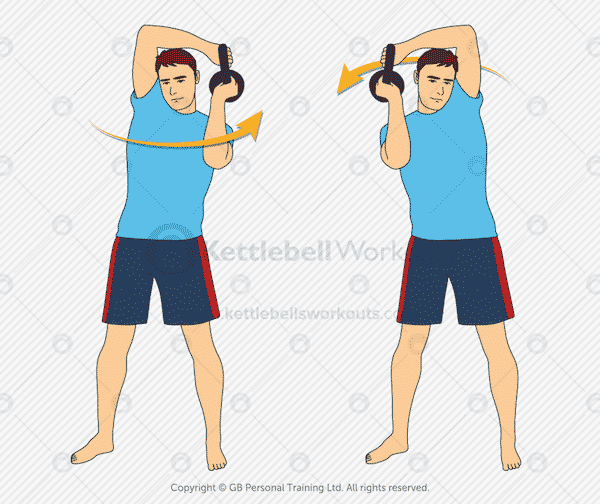 Later more advanced kettlebellers can add a press to the top of the movement to further intensify the exercise and increase its cardio output. Above I have outlined 3 kettlebell workouts for fat loss. The best fat loss workouts use as many muscles as possible, increase cardio levels, as well as being short enough to motivate you to complete them. These fat loss workouts will get the job done in only 4 – 12 minutes per day. Pair these workouts with a sensible all natural diet and you can change the way you look and feel sooner than you realise. 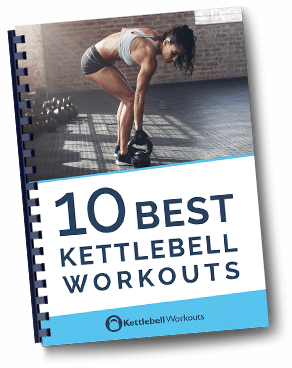 These workouts are taken from the 50 kettlebells circuit program that progresses from beginner to advanced all using just 4 minute workouts.